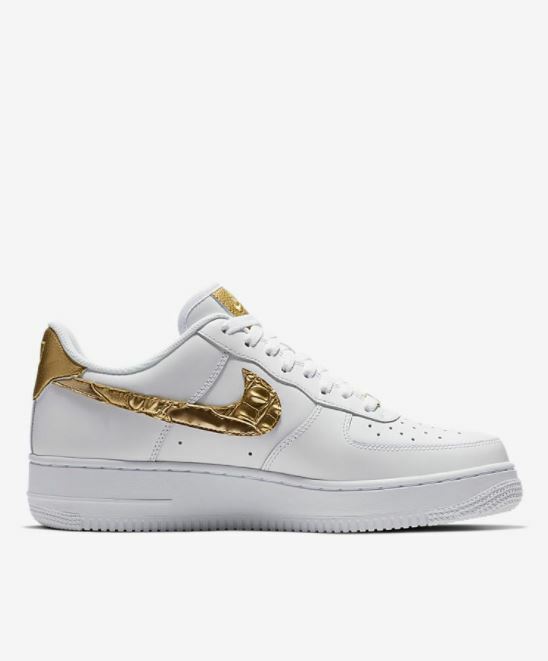 Nike Air Force 1 Low Gold Patch Cristiano Ronaldo Sneaker Available Now : HERE at Nike.As a young boy, Cristiano Ronaldo was limited to just two pairs of shoes—one for play, and one for school. While his school shoes were well kept, his play shoes always ended up with holes thanks to the endless amount of time he spent on the pitch. Each time he'd wear a new hole in his shoes, his mother would patch it up, allowing him to get back out to hone his skills. 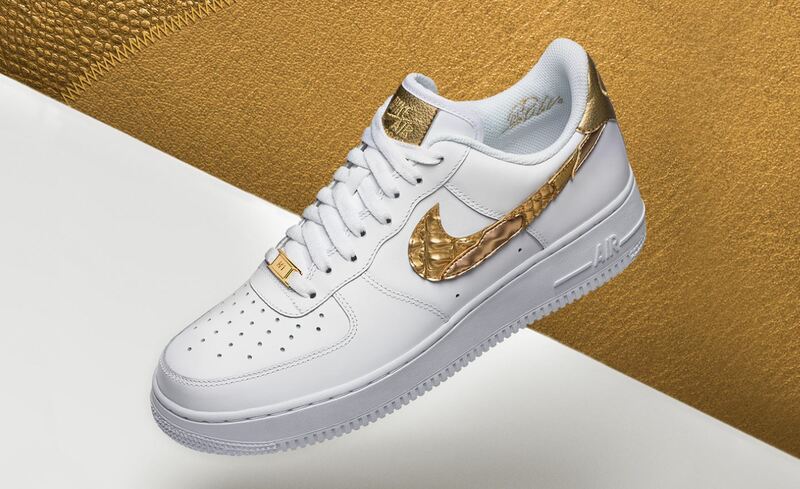 Inspired by football’s most celebrated athlete, the iconic Air Force 1 receives a luxury golden patchwork upgrade to honor Cristiano Ronaldo’s humble beginnings . The Air Force 1 keeps its classic white look while making way for new gold accents that nod to the superstar’s legacy. A golden signature inside the shoe helps elevate this already-legendary shoe to world-class status.